There are so many amazing ways to style pencil skirts this season, no matter what personal style you subscribe to. This wardrobe staple offers a sleek, sophisticated silhouette that hugs the curves in all the right places. 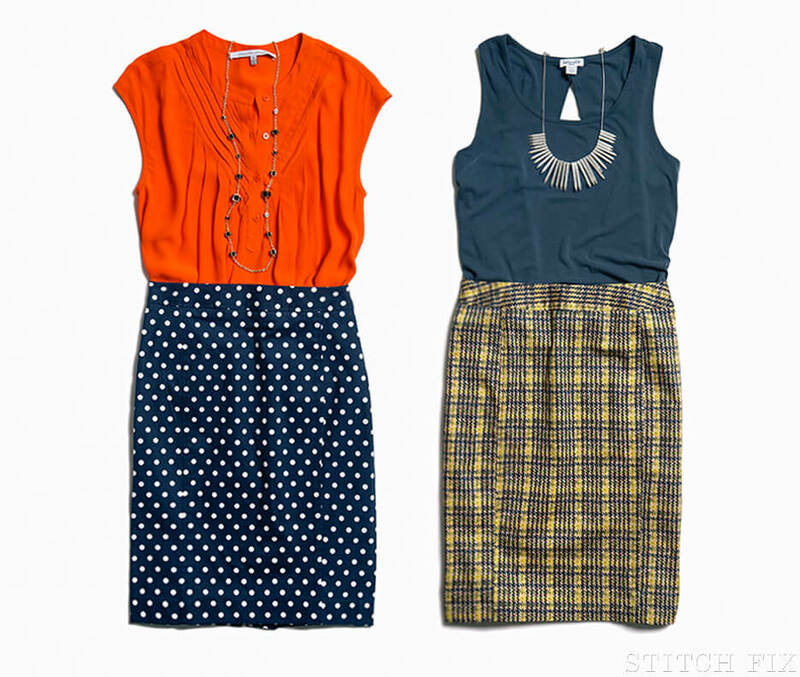 Read on for a breakdown of a few ways to add some seasonal flare to your favorite skirts! Spring is an excellent time to get playful with patterns. Dark florals were a hot trend for the fall season & have transitioned into spring with more cheerful hues. If you favor the classics, throw on a striped pencil skirt, colored top & a timeless trench. Still chilly where you live? Try a white skirt, tights, boots & a puffer vest for a casual-but-chic weekend outfit. Or take a walk on the wild side with a bold print, black blazer & statement jewelry. It’s the ultimate look for a night out. You can also mix patterns and styles with a romantic floral, classic stripe top, and edgy moto jacket. I’m sure you may be thinking, “to tuck or not to tuck?” The good news is, there’s no firm rule with pencil skirts. You can tuck a top in to show off your waist, or opt for a untucked, belted style. Or if you have a slim cut blouse (& would prefer not to highlight your waistline) leave it out. Finally, what do you top your pencil skirt outfit with? There are some tried-and-true staples like the denim jacket, a work-approved blazers in fresh spring colors & collar-less formal jackets. Don’t forget to experiment with scarves & statement necklaces, too. The most important thing is to have fun trying out new combinations that brighten your day-to-day wardrobe.